Tantawan Resort is located on the beach of White Sands and offers Thailand accommodation, good food and cool beverages for hot evenings on Koh Chang in Thailand. The simple rooms are rightly a popular address for backpackers and tourists on Asia tour. Tantawan Bungalows is one of the oldest establishments on White Sand Beach. At Tantawan Massage you can relax by a Thai Massage or an Oil Massage direct on the beach. 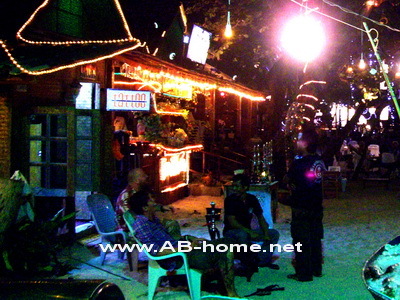 The cozy restaurant and beach bar is a good location for foreigner who looking for Koh Chang Nightlife on the beach. In the late evening there are fire shows in the front of the Gulf of Thailand. The new rooms from Tantawan Resort Koh Chang are more comfortable and bigger than the rooms next to the beach. Tantawan Bungalow is a good choice if you looking for cheap beach front rooms in White Sands on Ko Chang in Thailand. We are French. 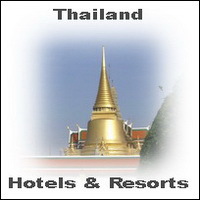 Have you a room for 2 persons on 1 to 6 march 2011 on koh chang ? What’s price ? We want to reserve a Tantawan bungalow on the first line with 19.12 till 28.12 then to prolong. Really?